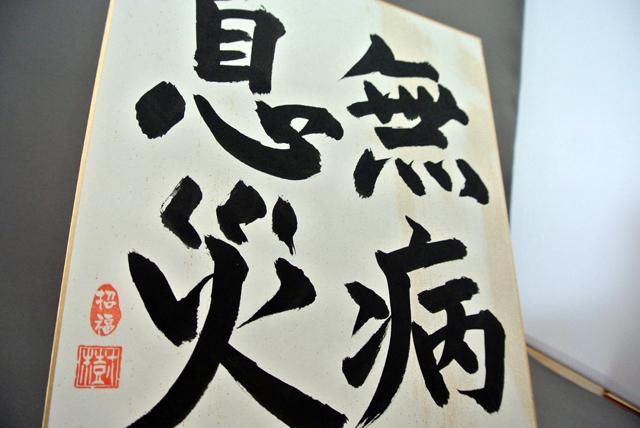 Handwritten on a signature board with a brush. 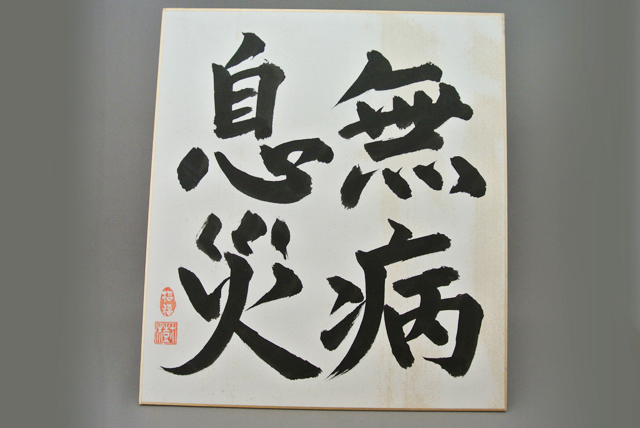 The meaning of “無病息災(Mubyosokusai)” is to keep being healthy without any disease. This is also the word to pray for the health. Please look at this brush art and others in our online store under the stationery category!